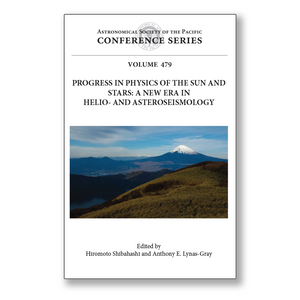 This volume contains the proceedings of the third international conference on helioseismology and asteroseismology, held in Hakone, Japan. The first meeting was held in 1989 at a time when helioseismology was beginning to develop quickly. From 1990 until the present, a vast amount of observational data was accumulated for the Sun and other stars. By 2010 it was clear that a second meeting was overdue; it was held in 2011 (ASP Conference Series Vol. 462). The third meeting was held in Nov. 2012 with 70 participants in attendance. The unprecedented high-quality data obtained by the Kepler satellite in 2011 and 2012 has doubled the amount of data available since the second conference. The prime purpose of this conference was to bring together active researchers in the field of helio- and asteroseismology and related fields to share their latest results and to exchange ideas. Participants discussed new physics that has been deduced from helio- and asteroseismology and how we can unravel unsolved problems in solar and stellar physics using helio- and asteroseismology. These proceedings present an overview of the remarkable results of helio- and asteroseismology and the recent acceleration of progress in these fields. This book is of interest not only to specialists working in the field of helio- and asteroseismology, but also to researchers in solar and stellar astrophysics in general.